The Kubilay Sezen gulet is a quality luxury standard Turkish wooden yacht, newly refitted in 2013 / 2014. She provides accommodation for up to 16 guests in 6 double and 2 triple cabins with air conditioning and private bathrooms. Guests can benefit from 2 areas for superb alfresco dining experience, both forward and aft. Sunning areas on deck include the forward as well as on top of the coach cabin. 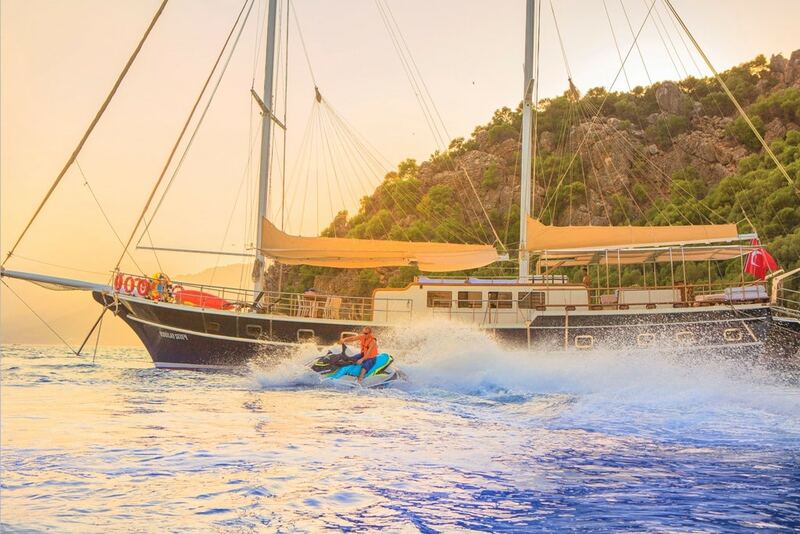 The Kubilay Sezen gulet comes with a dedicated crew of 4, to pamper guests during their private gulet holidays in Turkey. This beautiful boat is also available for gulet travels in the Dodecanese islands of Greece - with the option of boarding in Rhodes (depending on its booking schedule) for up to 12 guests.